Comments Image from the album L’archiviste. 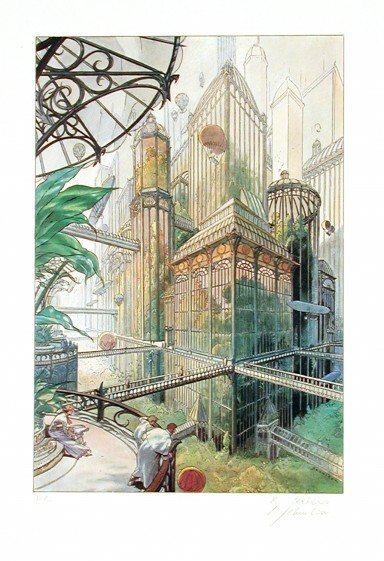 This image was used as a poster on the occasion of an exhibition of Schuiten presented in Clermont-Ferrand, entitled The Sources of the Obscure Cities. The image shows a view of the imaginary city of Calvani, or City of plants.